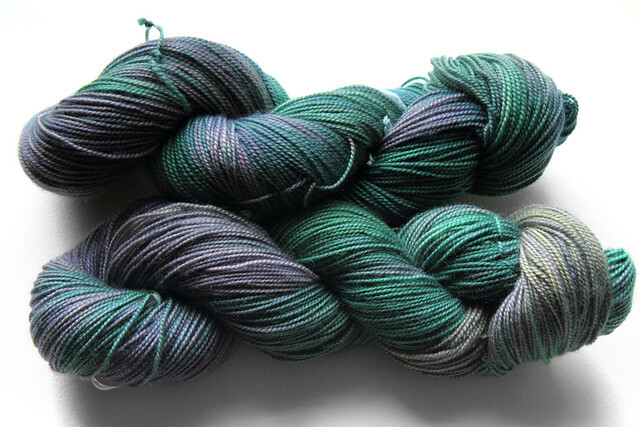 Shade: Oil Slick – variegated shades of deep blue-green and lilac purple. Favourite Sock is super-soft, yet hard-wearing enough to be used for socks. 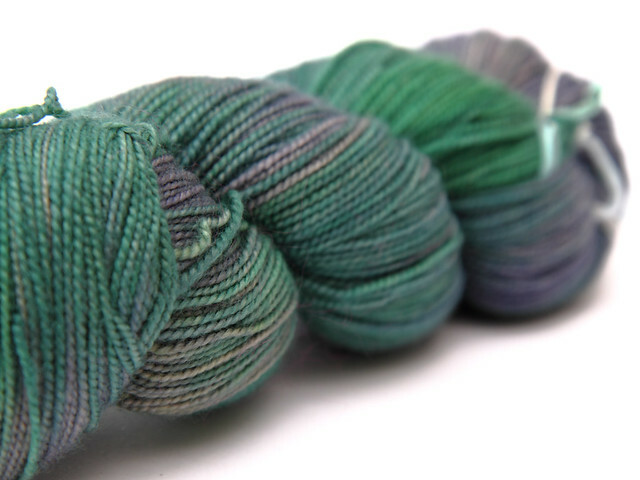 It has beautiful stitch definition and unparalleled ‘smooshiness’. 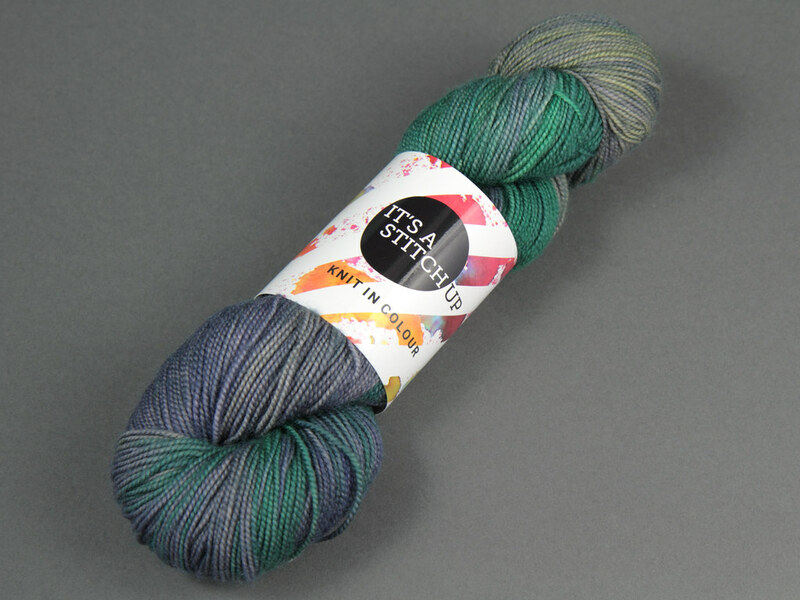 It’s the perfect signature yarn for us to showcase our full palette of dye effects.